Generally, no one plans to have a ‘bad’ day. The weather forecast shows sun, you make plans to head out in the mountains, be it hiking, cycling, or running. You anticipate having an amazing day, right? You’ve done this before, you’re heading up a familiar trail, what could possibly go wrong? Unfortunately, bad weather, a wrong turn, unexpected injury, or unstable blood sugars can turn an easy day into an extended emergency. The rule of 3s provides a guideline on how to prioritize basic survival needs: shelter, fire, water, and food – often, in that order. Type 1 Diabetics (T1Ds), however, may require a different approach to survival. As T1Ds, our priorities are distinct. We can’t begin to think about building ourselves a shelter or a fire, or signalling for help, without stable blood sugars. Many factors affect our blood sugars including: exercise, stress, insulin, glucose, and hydration. Without stabilizing our sugar levels, it would be difficult to handle an emergency in the outdoors. 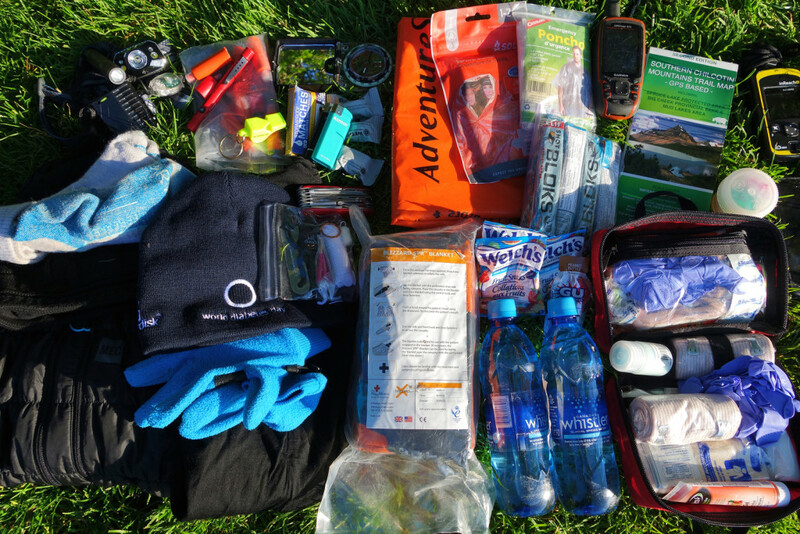 Various triple-checklists of emergency gear have been compiled, generally known as “The 10 Essentials”. 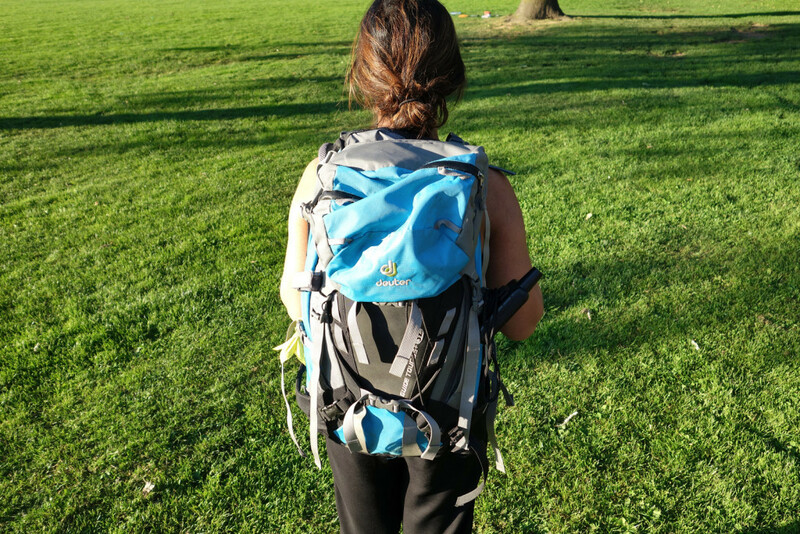 As T1Ds, we have a few different things to prioritize to stay safe in the outdoors. 1. Food and water. This is self-explanatory. I generally pack 2+ days worth of food on all of my hikes. As a Type 1, I need a sufficient supply of sugar in case I have a low; I always carry multiple emergency stashes of shot bloks ($2.55) and gels ($2.05). I carry 3L of water in a water bladder ($32.50), which I can always refill if there are available water sources; I also pack water treatment ($19.25). Any form of a filter or purifier would work to treat water in case you need it. For long day trips, it’s good practice to restock your water supply at the last obvious source. 2. Insulation. Meaning, extra layers for warmth. Pack your layers according to the season. Your extra layers may vary from: wool base layers, a toque, down sweater, wool socks, and gloves. Ask yourself what is required to sustain the worst conditions you may face during this trip. If you need to spend an unexpected night in the mountains, chances are it will be colder than you think. I use a stuff sack ($15.50) to store my layers. This helps keep everything dry and waterproof. 3. Illumination. 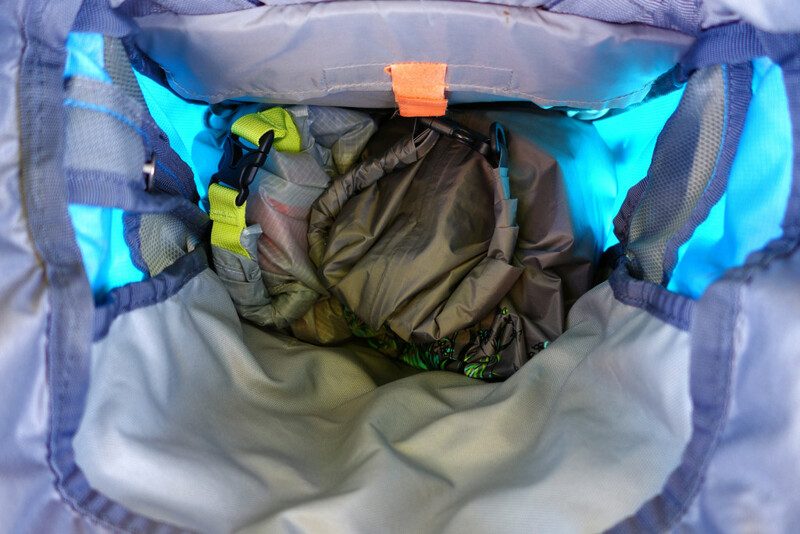 There are several options for light, including a headlamp and a hand-held flash light. I prefer using a headlamp. If I’m hiking out after sunset, a headlamp allows me to focus on my foot placement and terrain, instead of focusing on my balance while holding a form of light. It’s small, light weight, and offers long battery life. Hand-held lights also have value. They are cost efficient and can be very powerful – this is useful for signalling during emergencies. In addition to my headlamp, I carry mini turtle lights from MEC ($4.75) as backup. 4. Communication. 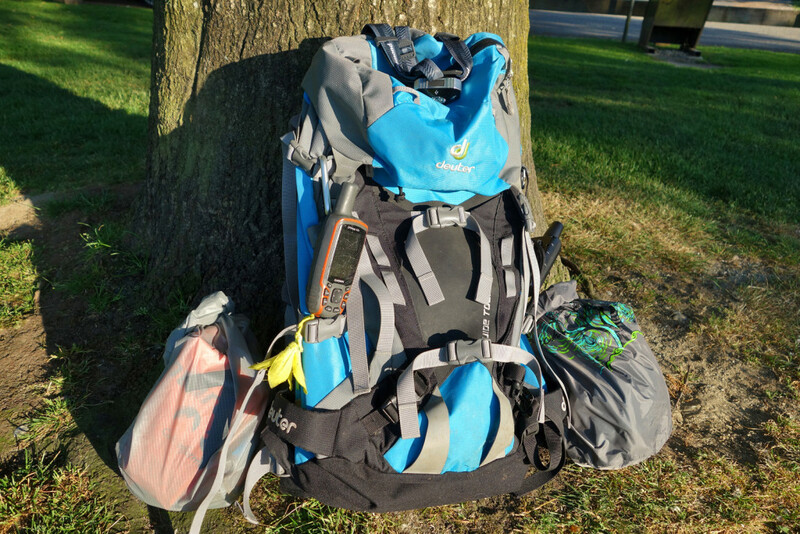 Cell phones rarely work in the backcountry due to lack of reception. If you bring your cellphone with you, try to keep it turned off or on ‘airplane mode’ until you need it. This will help keep your battery from draining. If you have reception, knowing how to retrieve your GPS coordinates from your phone will help rescuers find you quickly. Instructions can be found on the North Shore Rescue page. 5. Navigation. The classic approach to navigation is using a map and compass. Add in your cell phone*, a GPS, any tracking device, and you can easily add multiple items to your system. *Cell phones with a built-in GPS should be approached with caution – using this feature drains the phone’s battery, potentially leaving hikers lost and without means of communication. 6. Signalling device. A means of signalling includes and is not limited to: whistle, bear bangers/flare ($27.00), and mirror (usually attached to a compass). If you are lost or injured on a trail, a signalling device can help rescue crews find you. A Fox 40-type whistle ($4.00) works best in all weather. If you are lost and trying to signal for help, you can blow a whistle longer than you can shout. Three blasts is a standard distress signal. 7. First Aid. A first-aid kit is the best way to go. You can find these at your local drug store or outdoors outfitter. They include: treatment for blisters, splints for breaks, bandages, gauze pads, cotton, medical tape, ointment, scissors, pain medication, and latex gloves. I purchased my first-aid kit ($31.00) from MEC and customized it for my own needs. 8. Shelter. There are several cost efficient options for emergency shelters, on top of what you may be able to build in the forest. This is an important item if you’re planning a day trip. If you’re out on a hike and you get lost or injured along the trail, you could be stranded for a while before help arrives. 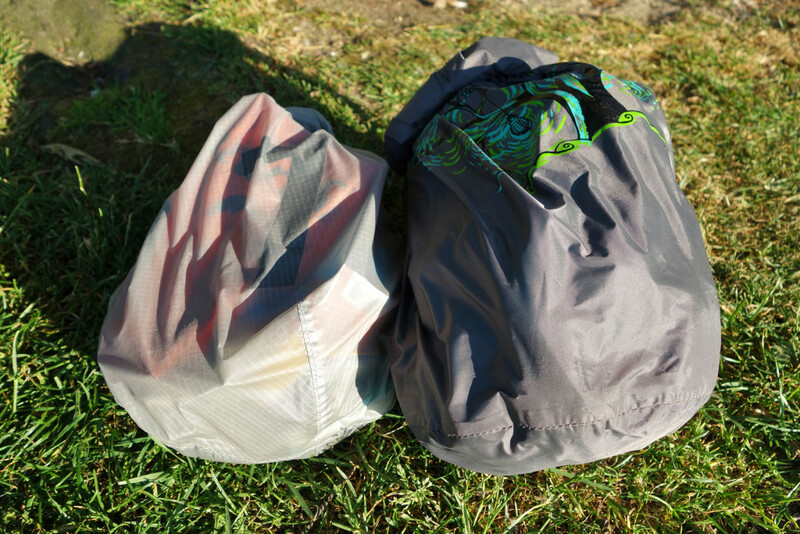 Here are some options to shield yourself from the rain, wind, and cold: large plastic/garbage bag, foil blanket ($7.00), and a bivy sac ($39.75). 9. Fire Kit. This can help keep you warm, give light, repel animals, and provide psychological comfort. A fire kit may include: waterproof matches ($6.75), a lighter ($0.99 or less), and fire starter ($5.25) . 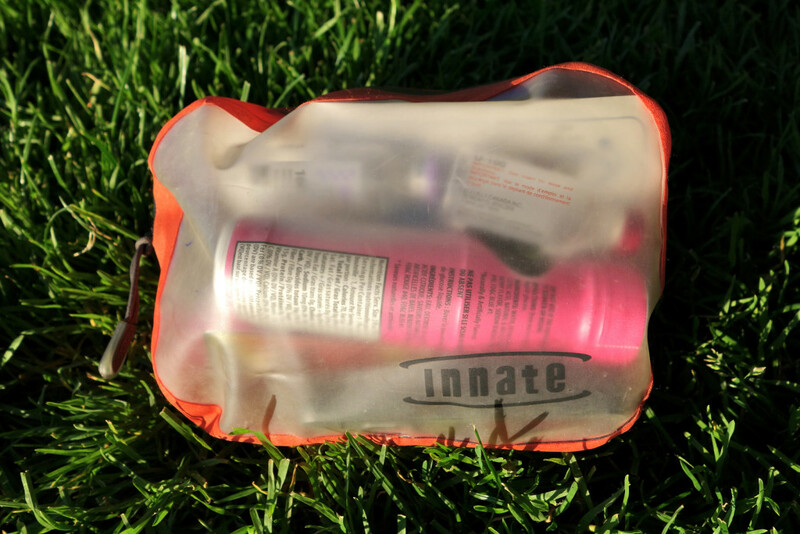 These supplies are best stored in a waterproof container or bag (ziplock works fine). Firestarters will help you speed up the process of starting a fire by igniting quickly and burning long enough for the fire to catch, especially in wet conditions. If you do not want to purchase this for your kit, you can make it at home with a few house hold supplies: lint trappings (from your dryer) mixed with paraffin, candles, priming paste, and/or wood clusters soaked in resin. 10. Knife/Tools. A pocket knife or multi-tool ($34.99) with a good blade has many uses, including: gear repair, food prep, first aid, and cutting branches/foliage when building your shelter and fire. For extended trips, I use either a Frio cooling wallet or a wool sock to store my insulin – depending on the time of year. ← Hike to the Camelshoof Peak, West Pavilion, BC. I’m not diabetic, but with PCOS, insulin resistance, and a family history of diabetes, I have something like 75-98% chance of developing it, even after losing 130lbs. I love off-roading, hiking, camping, boating, fishing, etc. and really want to go backpacking & paddle packing (aka canoe tripping, just need a bit more gear), so I was glad to find this article. Thank you for proving that even with diabetes, I could still have fun in the backcountry. Hi Willow, thanks for reading the article. Awesome to hear you’re super active and getting out a lot! I hope the article helps. And I fully agree, diabetes can add some turbulence here and there, but it doesn’t have to stop us from enjoying the backcountry :). My daughter is planning to do a 3 month NOLS course and we are wondering if anyone has used a Dexcom CGM for extended trips in the backcountry? If so, did it work well? She’ll also carry backup supplies for using a BG meter in case there are problems. She’s just trying to figure out if it is worth using. Hi Carol, that’ll be an incredible experience. Sorry, I haven’t had too much experience with the CGM on extended trips. If I were to take it on a long trip, I think I’d just be careful to clean the site as best as possible when putting in a new sensor. I was away on a hiking trip for a week in August and I found it very helpful, but I didn’t have to change the sensor so I’m not too sure how it’ll hold up over 3 months. If you’re on facebook, I suggest connecting with Jen Hansen from Connected in Motion and asking this question – they have a large following of active type 1s and she can flip your question on their facebook page, someone may be able to help answer. Sorry, this isn’t much help! Lovely article – one of the best things I’ve recently read, and by far the most useful. Thanks for the info, you made it easy to understand. Just look at the service http://pdf.ac/1xza5c. Its pretty easy to use. I think you can get a free trial if you ask for it. I use a OneTouch Verio meter, which doesn’t have disposable batteries – it has a usb charger. So my pack also includes a solar/mains phone ‘brick’ (also useful for charging the phone). My major whinge: why have they stopped making individual kentone dip-sticks, the ones that used to come in little foil packets? So much more convenient than a whacking great meter or a large bottle of sticks. Hey Pat, sorry for the reply. How does the Verio hold up in different temperatures? I have one, but I’ve been reluctant to try using it outdoors. In all honesty, I don’t remember the ketone sticks being individually wrapped. Wonder if we ever had those out here?? Keep me posted :)! 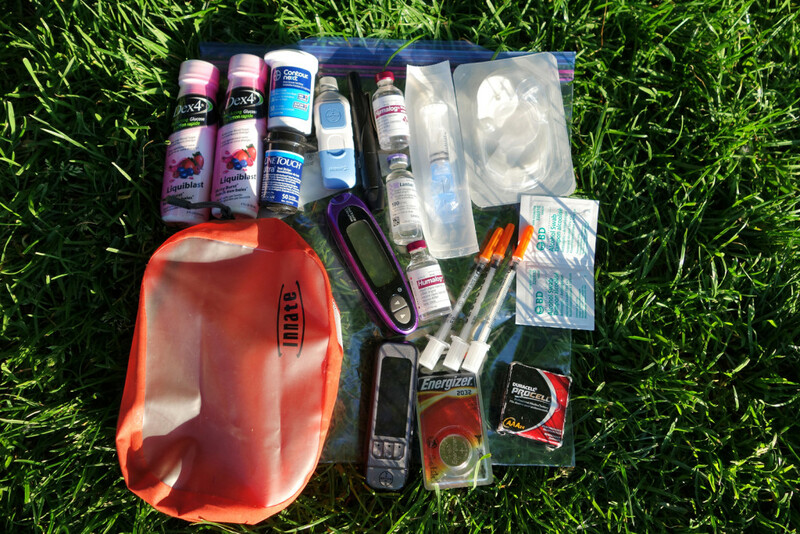 Glucagon – I’m wondering if you’ve ever had to use it in the backcountry. I climbed Kilimanjaro in 2010 and had no issues with my blood sugar until I got close to the summit. As I was approved the summit I could not keep my bg up where it needed no matter how much I seemed to eat. It made a challenging climb much much harder. Finally, I decided to give myself a glucagon injection. Nothing… My glycogen was so depleted from the hike up that the injection did very little if anything. I continued to eat and made it to the summit. It was one of the hardest things I’ve ever done. T1D since Jan 2000. Hi Brian, thanks for sharing your story! 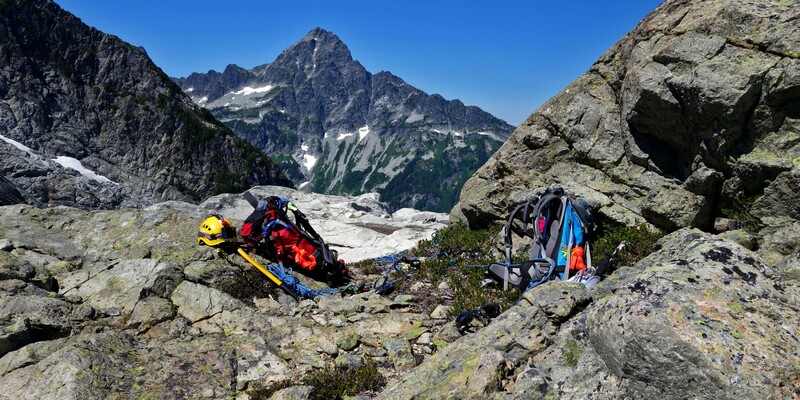 Yikes, I’ve never used Glucagon in the backcountry, but I’ve had a similar experience in our local mountains – I couldn’t bring my blood sugars up during our descent from Wedgemount Lake. Fortunately, I was ok and we took our time hiking down, and I was close enough to help just incase, unlike Kili. I’m very glad you were ok and made it to the summit. Because glycogen depletion is a bit of a fear, I try to eat every hour (at the least), whether I’m hungry or not. I hope this helps and thanks for touching base! My (non T1) understanding of glucagon is that it causes an immediate release of glycogen reserves from your body, which is then rapidly converted into glucose (glycogen is just a bunch of glucose molecules joined together). So, if you have totally depleted your body’s glycogen reserves, an injection of glucagon is not really going to do anything. I’ll leave it to Ashika (and others) who have successfully summited Kili to comment further about managing at high altitudes. Packing now and glad to have this list to refer to! Also, do you have any diabetes-specific suggestions for a first aid kit? If you are sleeping in a hammock (as we do) make sure to put your test kit in the hammock so you don’t have to fumble around grabbing your glucometer and glucose from your sealed backpack if you experience a low in the middle of the night…. I also set a temp basal rate on my pump to 50% when setting out, means I need to carry less or no extra insulin and it lessens the chances of a low. Mike, all great tips. I either have my test kit within arms reach or sometimes within my sleeping bag. Depending on the length and intensity of the hike, I generally have my basal at 50% and bring it back up when I’m just about done hiking. I haven’t experienced any post-hiking lows nor do I follow this, but I’ve been advised to keep the basal lower overnight while my body is recovering. I’ve noticed my BG drop in cold weather as well. Thanks for touching base! 🙂 PS, how do you like the hammock? I’ve been thinking about grabbing one for overnights. Thank you. A sort-of related question: do you keep food in your tent when in bear country? That’s always my dilemma, hang all food but then go low and don’t have food in easy reach, or keep in tent. Any good solutions for that? I tend to keep food in tent when backcountry camping out east (only black bears) but heading out to grizzly country this summer… we have 2 with type 1, both my 10 year old and me, so someone tends to go low pretty regularly. Hi Sarah, we hang our food down-wind from camp. Re: overnight lows, I keep a pack of shotbloks and some gels in a ziplock bag, in my test kit. On cold nights, I keep my test kit in my sleeping bag. I’m not sure if there’s a better way to hide the scent of food, but I rather have it with me at all times. If you’re worried about attracting bears, you could maybe keep your bg a little higher before bed? If you think of a better way to mask the scent, let me know! Where abouts are you guys heading this summer? Thanks for touching base :). I used to worry about bears …. now I am pretty convinced that unless you are in an area where bears are habituated to people, they aren’t so much of a problem. So, like most backcountry campers in bear country I’ll set up a bear hang, but I’ll also keep a few candies inside my sleeping bag, in a ziplock. I figure my smelly sweaty hiker’s body ought to be enough to keep them away, and probably, the main food cache is much more of an odorant/attractant than a few candies in a sleeping bag anyways. Also, I use OneTouch and Animas pump. Both dont like the cold … I just have a waist pouch where I carry everything. Also, last point, if you use pumps with radio frequency to communicate to your BG meter, and use avalanche beacons, be aware of the possibility of the signals interference. I don’t have any personal experience, but have heard stories of possible issues, so best to keep your pump somewhere not right near your beacon IF your pump is sending out radio signals! Hi Elliot, never thought of candles, will give that a try this summer. In the last while, I’ve become less nervous about bears. We’re pretty safe when camping, ex: eat down-wind from camp, set up a bear hang, keep food out of the tent (minus the odd gels for possible lows), etc. I read a study about beacon and insulin pump interference. I’m curious to test out the theory with a few non-animas pumpers. Thanks for touching base :). Hi Ashika, I like the hashtag! I’m a T1D and a backpacking guide with the ACMG. I’ve been chatting with a friend, who’s a kayak guide and diabetic, about putting together a workshop for T1Ds interested in a career in outdoor leadership. If you’re interested in collaborating, feel free to get in touch. Thanks Mattias, I’m just about to send you an email. I’m very interested in working together on this project. Thanks for the message! Hey Chris, thanks for touching base. Nothing panned out on my end, maybe Mattias has more info for you. Awesome to hear, Revelstoke must’ve been a great experience. Are you also through ACMG? Thank you for such detailed information! I’m an avid hiker, biker, anything outdoors. going on an extended vacation this summer up to Oregon and Washington into the Mt. Hood and Mt. Rainier areas. Really looking forward to it but i know many of the areas where we’ll be will have no cell service. a bit scary to think about, but now’s the time to perhaps think about getting one of those satellite devices. thanks again! Hi Gayle, thanks for touching base. Glad the info helped! Keep me posted on your vacation this summer, I’m based out of Vancouver and Mt. Rainier is on my list this summer too.